Tata Motors Ltd, India's biggest automaker by revenue, on Monday beat forecasts as first-quarter net profit more than tripled on strong sales of its luxury Jaguar and Land Rover vehicles that continued to offset a drop in domestic sales. 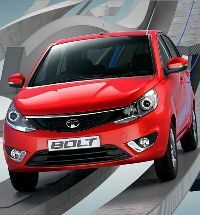 Tata Motors, part of the $100 billion Tata conglomerate, said consolidated net profit for the April-June quarter rose to 53.98 billion rupees ($882.31 million) compared with Rs 17.68 billion a year ago. Analysts had expected an average profit of Rs 37.1 billion, according to Thomson Reuters. Consolidated revenue grew 38.2 per cent to Rs 646.83 billion.